 At Beach Pea we are constantly striving to bring our customers unique and interesting ideas from our kitchen, while holding true to our belief that “Simple is Best!” It is our goal to bring you the highest quality service by providing superior products in a friendly, clean environment. When you purchase either our "68 hour" salad or the #10 sandwich, 100% of those proceeds go directly to the End 68 Hours of Hunger Program. This program is committed to making sure children have enough food and are nourished during the weekend outside school hours, when in a lot of cases, their only meal for the day is at school. We just donated $1,138 from sales between mid December 2017 to end of December 6, 2018. Classic egg salad with capers and celery, Topped with roasted asparagus, bacon and pea shoots, Served on a Baguette. You can be certain to find the same level of quality and care in our handcrafted sandwiches, soups, and salads as you have come to know with our breads, cakes, and pastries. Because the details make the difference, our all natural meats are roasted and sliced right here in our own kitchen. You can live a healthier life without the sodium, nitrites, and preservatives found in that other "deli" meat. We also make the spreads that dress our sandwiches, and of course we bake all of our bread everyday. So feel good about what you eat.